Posted: Tuesday 12th August 2014 in eCommerce Technology, Owned and earned media, Thought Leadership. Last week Google announced a new algorithm change that will give precedence to websites with a consideration for online security. it will give you a minor ranking boost. Although it is minor – currently affecting less than 1% of global queries – Google may decide to continue to develop on the change and introduce further regulations to keep everyone safe on the web. The move comes less than five months after Matt Cutts announced he would love to make SSL a ranking factor. Google have said that site encryption isn’t a crucial factor in rankings, however this could be a tactic to give site owners the opportunity to switch to HTTPS. Why is this important for retailers? Obvious implications for your Google rankings aside, the move will make websites even more secure, which in turn provides visitors with more confidence in brands and their products and services. Whilst potential ranking improvements may be minimal right now, there’s every chance that in the coming months secure sites will be given even more preference in search engine results. What do we think about this algorithm change? 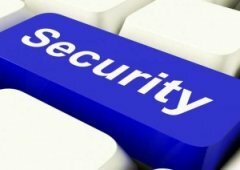 Traditionally, only checkout and login pages (where sensitive information will be passed between user and retailer) of eCommerce sites have been secured. Securing the whole of a retail site will help as a trust signal to both consumers and search engines. In today’s competitive retail industry, brands should take all the necessary steps possible to improve rankings and consumer confidence. Internet fraud and cybercrime are on the increase and Google have recognised that SSLs could potentially help to combat this. Don’t get left behind – start thinking about an SSL for your retail site now before secure sites become more prominent in search engine results.